Basic custom imprint setup & PDF proof included! 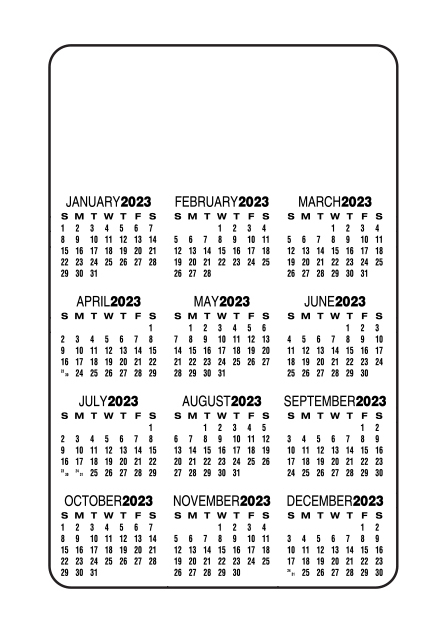 This credit card size wallet calendar is great because it goes everywhere you go! 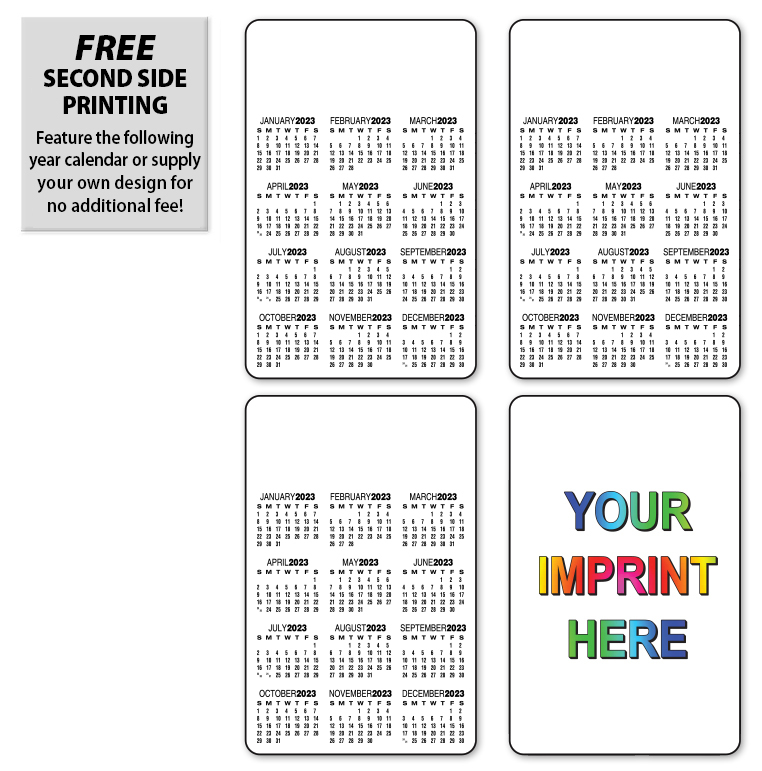 Printed in full color on a laminated paper card stock it comes standard with rounded corners, but can have square corners upon request. 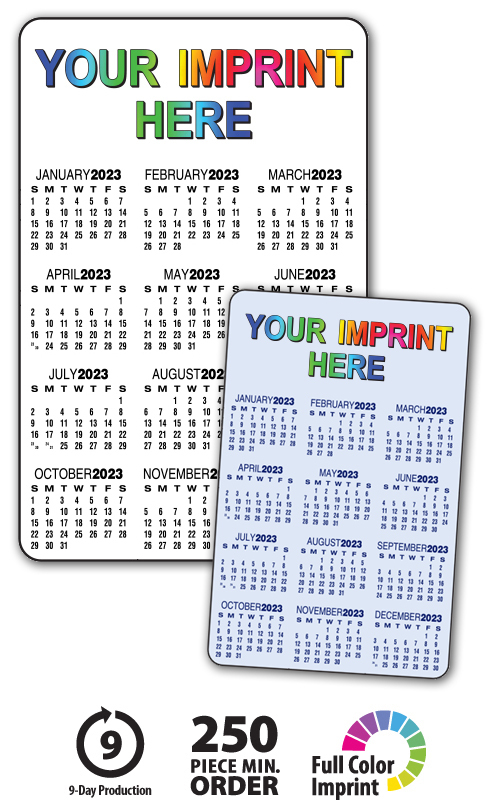 This high-quality custom wallet calendar will proudly display your message for the entire year!